Martek | Prime Minister Theresa May visits Martek! Prime Minister Theresa May visits Martek! Following the referendum on the UK’s future relations with European Union, Martek was greatly honoured to welcome recently appointed UK Prime Minister Theresa May to our production facility in Addington. 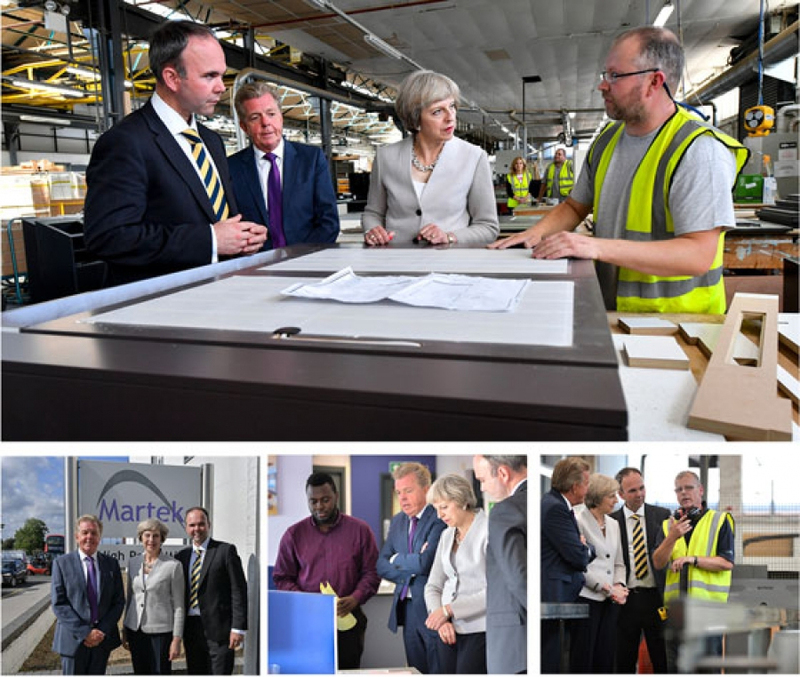 Mrs May together with the Minister for London and Housing Development Gavin Barwell chose Martek as the first of a series of visits to manufacturing companies acknowledged to be key to the future development of the UK economy and employment sector. Having discussed the challenges and opportunities which lie ahead for Martek and the manufacturing sector, Mrs May toured the factory and met with a number of production staff stopping to discuss their jobs and gauge their views about the future.